Getting below Â£200 was a "defining moment" for the last two PlayStations, says Sony. 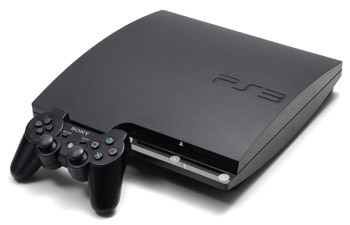 New Sony Europe Boss, Jim Ryan, wants to see the PS3 take the lead in the UK, and thinks that the recent price cut will be just the thing to help the console do it. Ryan says that while the PS3 rules the roost in most PAL countries, in the UK that simply isn't the case. "The UK is one of the territories where we have to do better," Ryan said. He thought that getting the PS3 to below Â£200 - a level the Xbox 360 has been at for quite some time - was going to make a big difference. "History has shown us that once you get to Â£199 you hit lift off," he said. "We can do some serious business and this kick-starts that. Getting to Â£199 was a defining moment for the PSone and PS2 - this will be no different." Ryan didn't blame the PS3's relatively poor performance on economic conditions, saying that other countries - specifically countries where the PS3 was "winning" - had similar economic problems. He noted, however, that the UK was more like the US - where the Xbox 360 is the dominant console - than Continental Europe in terms of its tastes. Of course, there's no single reason that the Xbox 360 outsells the PS3 in the UK. Price, release dates, availability, and more besides, will all have played a part; and with the Xbox 360 still available for less than the PS3 in many places, It will be interesting to see whether this new price point really does give the PS3 the boost Sony hopes it will.